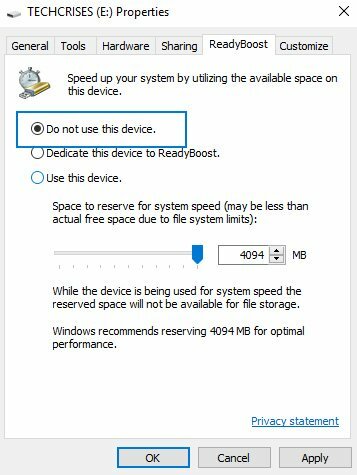 Home / How To / How to increase RAM using ReadyBoost USB flash drive in Windows 10? Many users often facing with insufficient RAM memory problem on Windows 10 laptop, old PCs or tablets. A lot of cheap and old devices often decrease own performance because 1-4 Gb of RAM is not enough for comfortable machine functioning. not all modern laptops or tablets give you access to the RAM (but some of them provide a way to upgrade it). nowadays it’s pretty hard to find and purchase DDR/DDR2 modules for old machines. Specially for such cases, Microsoft created ReadyBoost technology, which allows to use USB flash drives as the additional RAM source for your machine. Most likely, you’ve heard about Swap file in Windows. In case when the existing RAM is not enough for successful functioning, Windows operating system creates a special file on the hard drive, which is used to provide additional RAM. For sure, that’s a pretty useful feature! But in case of using Swap file, your PC starts decreasing performance because of low HDD write speed. Since Windows Vista, developers presented a new technology – ReadyBoost. It allows to create a Swap file on flash drive or SD card which write speed is much faster than HDD. This feature is used in a recent Windows 10 builds too, so let’s take a closer look on its advantages and disadvantages. Ability to increase your machine performance without adding additional or new RAM modules. You can notice the changes, for example, when running office programs, image/video editors or games. There is no need to use Swap file on your HDD. 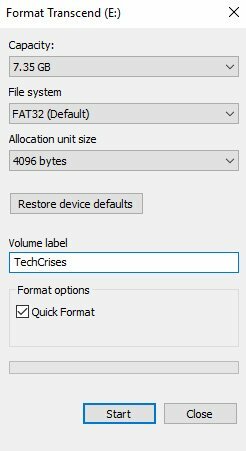 This will save some of its space and increases the system performance because your hard drive won’t be used for this purpose anymore. USB flash drive or SD card lifetime will decrease because of rough usage (estimated lifetime of modern USB flash drives with constant use of ReadyBoost cache for storage is about 10 years). ReadyBoost allows you to use Flash memory to speed up the OS and applications startup due to a much smaller access time when reading and writing data to such memory. 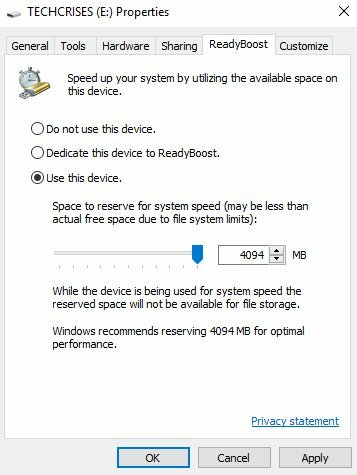 ReadyBoost doesn’t require high speeds, much more important is the short access time to flash memory, which is sometimes 10 times less than using HDD. The greatest performance gains are felt when reading 4kb blocks (up to 10 times faster than HDD). While reading large files the effect is lower. In most cases, ReadyBoost is effective when running applications when you need to load many small files and libraries. The greatest gains are achieved when using a slow hard disk (<7200 rpm). What type of USB flash drive do I need to use? 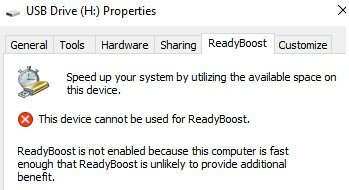 You can’t use ReadyBoost for an external USB 2.0 HDD. How to format USB flash drive or SD to use it with ReadyBoost? Connect USB flash drive or SD to your PC. Find the needed USB flash drive in the list. Right click on it and choose Format. Allocation unit size: 4096 bytes. Press Start and wait until process finishes. After the USB drive was formatted, you need to configure it to use ReadyBoost. Find the needed drive in the list. Right click on it and choose its Properties. Now go to ReadyBoost tab. Check on Use this device. Set amount of additional RAM you prefer. Microsoft recommends to use 1:1—1:2,5 proportions (own RAM vs ReadyBoost). For example, if your device has 2 Gb RAM, you need to set the ReadyBoost value from 2 Gb to 5 Gb. It’s ready! Now your USB flash drive is used to increase PC performance. 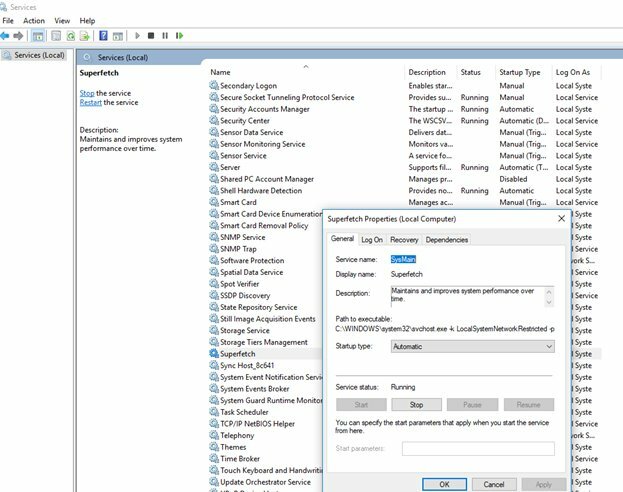 Please note that the ReadyBoost feature requires the SuperFetch service to be enabled on Windows (the service is enabled by default, but some users disable it for various reasons). This service manages the disk cache in Windows and uses it to speed up the computer performance. Make sure that the SuperFetch service is running (if it isn’t, start it and change the startup type to Automatic). This device cannot be used for ReadyBoost. ReadyBoost is no enabled because this computer is fast enough that ReadyBoost is unlikely provide additional benefit. This means that your USB device has insufficient read-write speed, or you have a fairly fast computer, for example, with an SSD and sufficient RAM size (SSD is fast enough to outperform any USB drive). READ ALSO: How to clean up Windows 10 PC without OS reinstall? However, in most cases such a trick won’t give a real increase in the computer performance by using a USB flash drive for cache. Note. It’s important to notice that Swap file on flash drive is coded with the help of AES-128 algorithm, and ensures the security of your data. The most important thing – never disconnect USB drive from your PC without following the instructions bellow. If not – you can damage USB flash drive and a port itself. How to disconnect USB flash drive that is used for ReadyBoost? Check on Do not use this device. 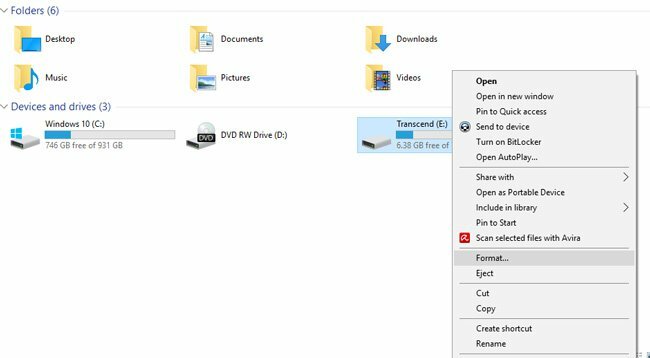 Disconnect the USB drive from PC safely by clicking Safely Remove Hardware in the System Tray. What’s better: use ReadyBoost USB drive or upgrade the RAM? ReadyBoost USB flash drive can increase your PC performance, but the effect won’t be the same as in case of purchasing the additional RAM. This technology is created to make Internet browsing more comfortable, to make applications run faster etc. In case you need additional RAM to meet the system requirements for heavy applications (for example, for gaming) – ReadyBoost won’t help you: the write speed of USB flash drive is significantly lower than RAM and you will be facing with low system performance all the time. Thus, ReadyBoost technology allows you to boost performance of old machine in case you don’t want to purchase additional RAM modules. It also can boost your laptop or tablet which RAM cannot be upgraded (in this case it’s better to use SD card). Hope this was useful! How to change default browser in Windows 10 Mobile?